How do you sell a game series about Americans shooting the crap out of all types of foreigners on the foreign market? Make it free to play! That’s the strategy that Activision is going with when it comes to marketing Call of Duty to China. The award-winning FPS series is hitting Chinese shores later this year, and Activision will be completely reworking the game to fit a free-to-play model. Instead of simply gaining XP to unlock new weapons and attachments, the Chinese version will allow you to pay real-world money for new pieces of your loadout. 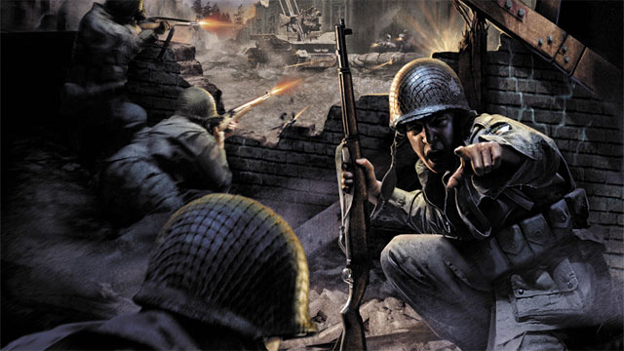 According to Activision, the game isn’t a simple port of one of their past Call of Duty titles. It is a brand new free-to-play experience built from the ground up for Chinese markets. The game will be optimized for PC play, specifically the PCs that are common in Chinese Internet cafes. The game will feature both single-player and multiplayer, though the maps will be made with “Chinese players in mind.” Perhaps this means they will be modeled after more historical Chinese wars than American wars. Activision has supposedly spent as much money on the Chinese version of Call of Duty as it does on one of its American titles. The Chinese market is very different from the American market, not necessarily supporting our triple-A blockbuster game model. This will be an interesting experience in showing whether or not a well-known American game franchise can flourish in the Chinese market after being retooled specifically for their market base. That's not why they went free to play in Chine. It has more to do with the habits of gamers and the market there. They could care less about who's shooting up who, it's just a game.